If you’re looking for custom mirrors of exceptional quality and beauty, turn to 31-W Insulation. We are pleased to offer mirrors manufactured by one of the most well-respected glass companies in the United States, Gardner Glass Products. For more than 50 years, this company has been producing exceptional mirrors using advanced manufacturing techniques that result in brighter reflections with truer colors and no distortions. 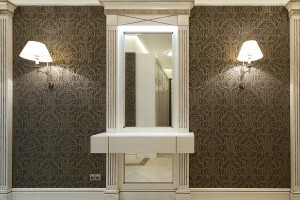 And, we are proud to offer these beautiful mirror products to our customers. So, no matter where you plan to place these mirrors, whether in a dining room over a sideboard, in a butler’s pantry as a backsplash that will showcase your beautiful stemware, or in your master bathroom over your vanity, you will be sure to enjoy unobstructed reflections and uncompromising beauty. Additionally, when 31-W experts install these custom mirrors in your home, you can rest easy knowing they will stay securely mounted on your wall until you choose to remove them. To learn more about the many benefits of having 31-W Insulation install custom mirrors of exceptional beauty in your home in Garner, NC, or any other nearby community, contact us today.